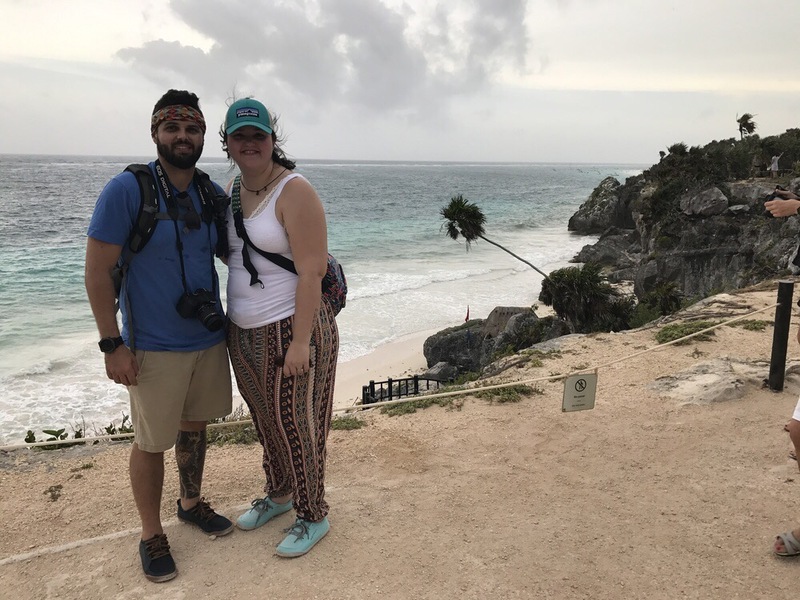 The first time I went to Cancun and Playa del Carmen, I thought I was going to be surrounded by drunk college kids known to visit the area for a quick Mexican vacation. While I can’t guarantee that you won’t see any drunk sorority girls at these places, I can promise you that you won’t encounter nearly as many as you would sitting idly by your hotel pool. 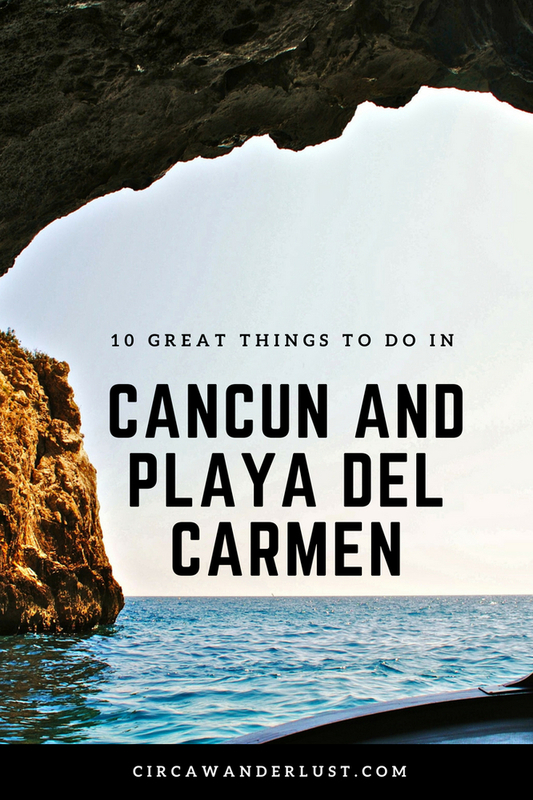 Here is our list of awesome things to do in Cancun and Playa del Carmen. 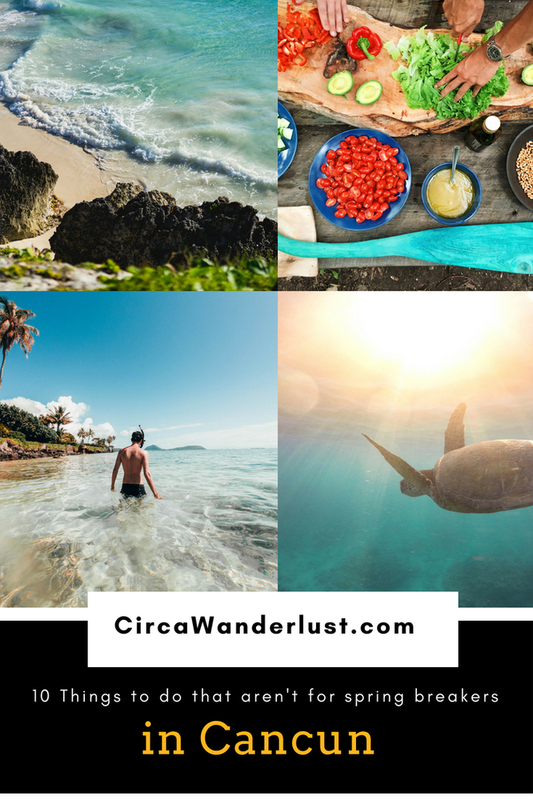 Riviera Maya, including Cancun and Playa del Carmen, is a beautiful part of Mexico when the sun kisses your skin and culture is everywhere you look. Since it is such a popular destination, it is hard not to get caught up in the all-inclusive appeal of so many of the areas resorts. If you are a pool lounger looking to work on your tan with no plans of leaving the hotel, this is not the list for you my friend! 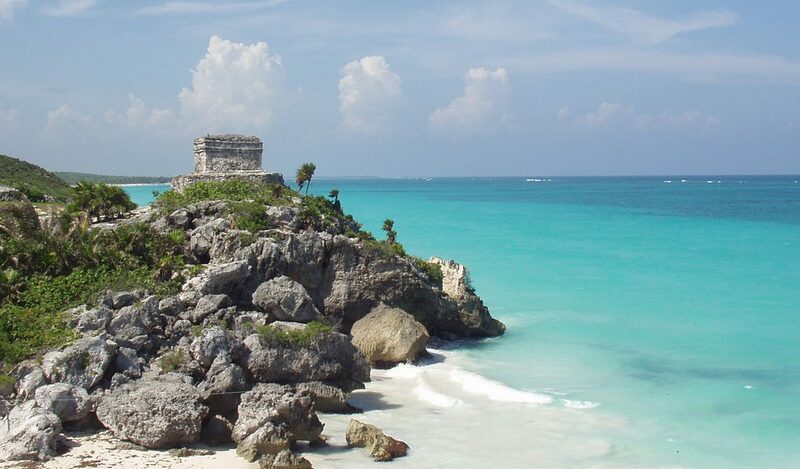 Traveling to Tulum to see the ruins should be measured in years because the moment you arrive you go back in time. Away from the resorts of Cancun by taxi or bus, will find the perfect day trip, the Tulum Ruins. Known as the Place of the Dawning Sun, the complex features what is left of the religious center that once served as a gateway, connecting the Yucatan Peninsula and the Gulf of Mexico with the Mayans of Central America. Cancun and Playa del Carmen offer some of the most beautifully clear blue waters you’ll ever see! Dive the underwater museum and see more than 450 statues beside the Manchones reef. Divers love this area due to the abundant marine life. You can see turtles, sting rays, moray eels, and schools of colorful fish that dance around you in this artificial reef and unique museum. 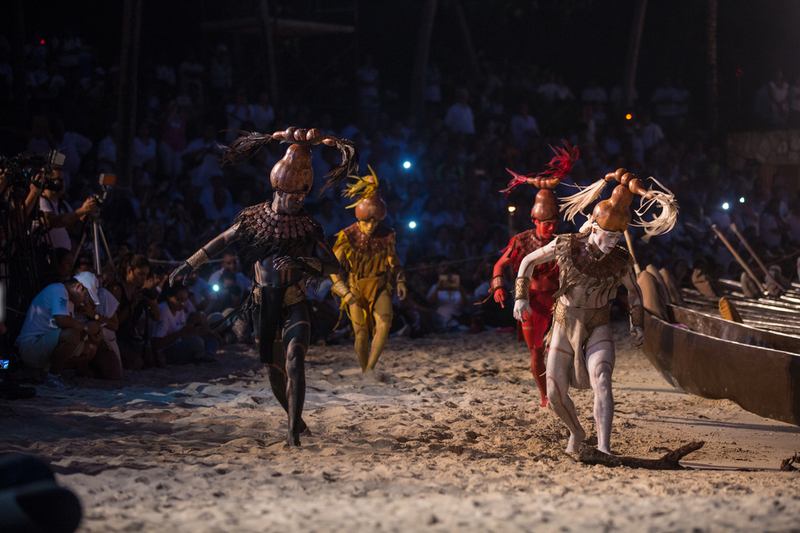 Xcaret Park is where you will get in touch with Mexican culture in a way you didn’t know possible. As you walk through the Mayan Jungle you are met with an array of activities and attractions, all with a tie to Mexico and its people. This eco-archeological park features a traditional Fiesta Charra and the Mayan Ball game we all learned about in school. You can also swim in underground rivers and take a snorkling tour. Don’t miss the night time celebration with 300 artists as they take you through the country’s history. Xenses is a Dr. Suess book like park that takes you on a journey to discover your senses through unique activities and scenarios. You will walk the street of an adorable Mexican town that tests your balance. From the moment you step onto El Pueblo you won’t know if you are climbing down or descending up. Fly like a bird through the sky on a unique zip-line, take a break in a hammock, delight your sense of taste with lemonade poured directly from the trunk of a lemon tree all while enjoying the numerous photo opportunities around the park. If you aren’t SCUBA certified, there is still plenty of ways to spend your day in the water. Snorkling anywhere in the Riviera Maya will get you face time with an array of marine life and beautiful underwater sites. But there is something truly majestic about swimming with sea turtles. At Xplor park you will fly across the sky on zip-lines over the Mexican jungle, adventure paths on amphibious vehicles, and swim in underground rivers. This park is all about adventure! The zip-line course features 2 circuits with over 2 miles of lines for you to fly over the world below you. As you spend the day in the park, you will see cenotes, wildlife, and find out just how big your sense of adventure is. Cenotes are something out of this world but very much so of our planet. These “caves with water” as their Mayan meaning translates saw their origin millions of years ago during the Ice Age when the Yucatan was underwater. Today are a major must-do in the area as they a re only found in a few places on Earth. Taking a cenote tour will allow you to experience the different types of cenetos as they are not all created equal. From open cenotes to cavern cenotes, exploring these water filled caves and underground rivers will show you a difference side of our planet. 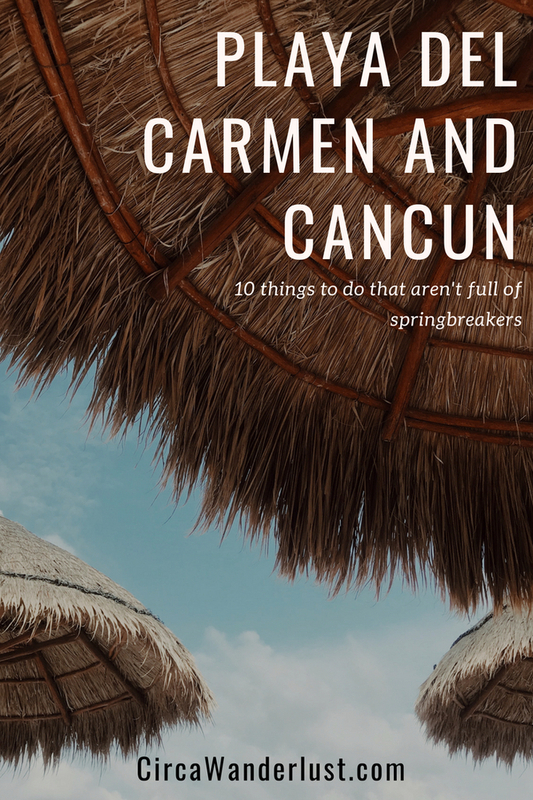 Hands down this is one of the coolest things to do in Cancun and Playa del Carmen. JOYA is the resident Cirque du Soleil show in Mexico. Drawing on the country’s rich history and heritage, the show tells the story of a grandfather and his granddaughter as they embark on a quest to uncover the secrets of life. Like all Cirque productions, you can expect show stopping acts and amazing sets that are brought to life by world class performers. JOYA is always topping lists of things to do in Cancun! This part of Mexico is home to some of the most picturesque golf courses I have ever seen! If you are an avid golfer at home or someone looking to spend your day on the green, there are numerous beautiful and challenging courses to pick from. Xel-Há is a natural aquarium where you can explore marine life and water activities in a sustainable way. The park’s name means “where water is born” in the Mayan language and the location served as a inner port and trading center during pre-hispanic times. You can explore the park by foot, bicycle, or mini train and surround yourself with the most beautiful of fauna and flora. The all inclusive park also has areas where you can swim and snorkle among the numerous types of fish and marine life that have made Xel-Há their home, there are no barriers keeping them in.